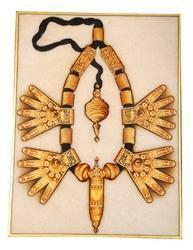 We have uniquely positioned ourselves to provide a wide array of Jadau Necklace Painting. Owing to its common use at home, the provided painting is widely demanded in residential and commercial sectors. In addition, this painting is largely demanded in resorts and hotels for their mirror like finish and durable design. Moreover, our offered painting is available in spectrum of designs & customized options according to the needs of customers. 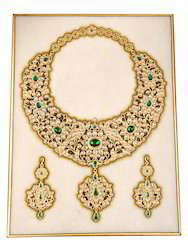 With firm commitment to quality, we are presenting for our clients a vast range of South Indian Necklace Painting. Our offered painting is available on numerous designs & sizes as per the needs of customers. This painting is designed by our highly experienced professionals by using modern techniques in strict adherence with the trends of market. 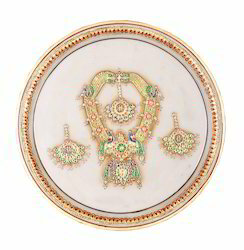 Looking for Necklace Painting ?